Fifty years after the course of the Nile River was diverted for the construction of the Aswan High Dam, the people of Nuba in southern Egypt are still demanding the right to return and resettle on the banks of Lake Nasser. On Jan. 18 of this year, they got their response during the Youths Conference in Aswan. Sisi exempted 12,000 acres from the Khorqandi project and designated it for the Nubians. He earmarked 320 million Egyptian pounds ($18.1 million) to wrap up projects currently under way in Nasr al-Nuba and Wadi Karkar by June 2018 by improving sewage services, electricity and other facilities. Nubians activists maintain that the money have not been spent yet and that and the details of the expenditure have not been revealed because there is no law organizing the work of the committee. Project Details Aswan High Dam is a rock-fill dam located at the northern border between Egypt and Sudan. The dam is fed by the River Nile and the reservoir forms Lake Nasser. Construction for the project began in 1960 and was completed in 1968. It was officially inaugurated in 1971. The total investment for constructing the dam reached $1bn. With a reservoir capacity of 132km³, the Aswan High Dam provides water for around 33,600km of irrigation land. 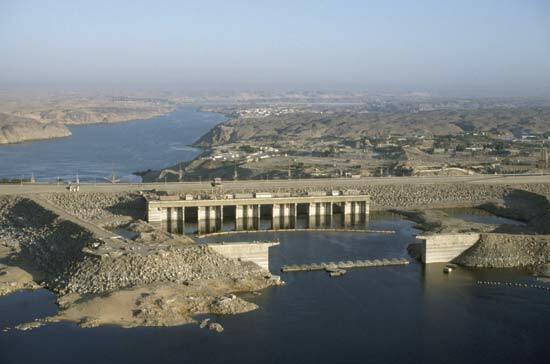 It serves the irrigation needs of both Egypt and Sudan, controls flooding, generates power, and helps in improving navigation across the Nile. Development of Alternatives - That Cairo reject the annexation of the Nubian Forkund villages to the 1.5 million feddans project. - Excluding the region from the lands offered to investors. - Amending the 2014 Presidential Decree 444 that considers the lands of 16 Nubian villages on the border to be military zones. 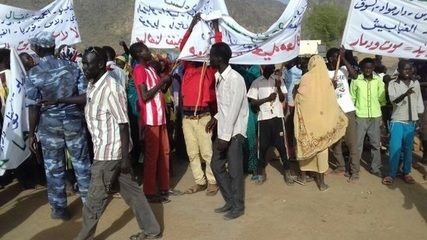 - Asking the parliament to expedite the implementation of Article 236 of the constitution, which says “the state shall work on developing and implementing projects to bring back the residents of Nubia to their original areas and develop them within 10 years in the manner organized by law.